The 1978 missing person case of Betty Place. 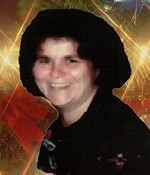 Betty Place of Warner, NH was last seen at her home on Joppa Road on the morning of June 14, 1978. She was reported missing the next day. Despite searches by New Hampshire State Police and other law enforcement agencies, Betty has never been found and her disappearance has been treated as suspicious.